St. Martin is a village in the Pongau area of Salzburg, just south of the Tennengebirge mountain range, in the Lammertal Valley. The attribute "am Tennengebirge" is almost always added to the name in order to avoid confusions with two other St. Martins in the province of Salzburg. 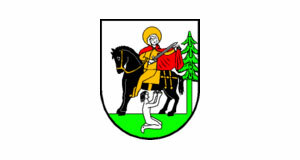 The Pongau St. Martin has a total population of approximately 1,500 and a significant tradition in tourism. Some 1,500 beds are available in the hotels of St. Martin, some 150,000 overnight arrangements are sold every year. Note that the winter season is significantly more important than the summer season. Just like most of the nearby Tennengau skiing areas, St. Martin targets families with children. There is a skiing school in St. Martin and the local ski lifts form an association called "Familienskigebiet St. Martin am Tennengebirge" ("family skiing area"). In addition, there is direct access to the skiing area of Annaberg-Lungötz and the ski lifts of the region Dachstein West and Rußbach, mostly already in the Tennengau area. The altitudes of the local ski lifts range from approximately 780 metres to almost 1,900 metres. Aside from skiing, a local army base and training site is also an important aspect of the local economy.